Archipelago. The country is made up of about 330 islands, and there are more than 300 dialects spoken in nearly 1,200 villages. Explore some of them during our programs in Fiji. Bula. No matter where you go in Fiji, you’re guaranteed to hear bula over and over again. The word means hello, and also translates to love. Fijians are known for their friendliness and are not shy to show a big bula smile and say bula to anyone passing by. Cloudbreak. This legendary surf spot is located near the Eco-Lodge and hosts the Fiji Pro surf competition every year. Cloudbreak’s challenging left breaks favor goofy-footed riders (those who surf with their right foot in front) and waves often reach heights of 20 feet. Diving. Visitors to Fiji often spend just as much time below sea level as they do above it. A quarter of the South Pacific’s coral reef is located in Fiji, covering nearly 4,000 square miles. Students who enroll in Fiji Diver’s Dream, or participate in scuba diving add-on activities, can experience this underwater world. Eco-Lodge. 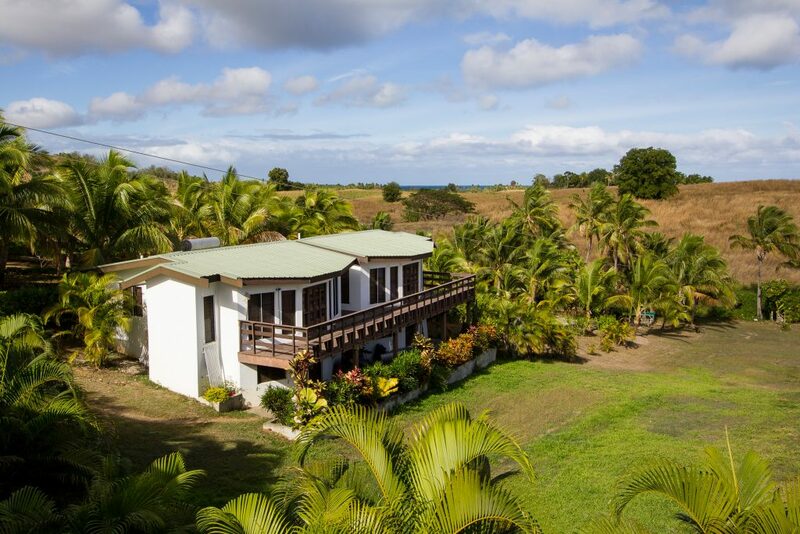 The first Rustic Pathways base house in Fiji was built in 2004 and is situated between Momi Village and an Indian settlement where Rustic students participate in service projects. With a soccer field, infinity pool, and spa, it’s the perfect place to feel at home after a day or diving or participating in service projects. 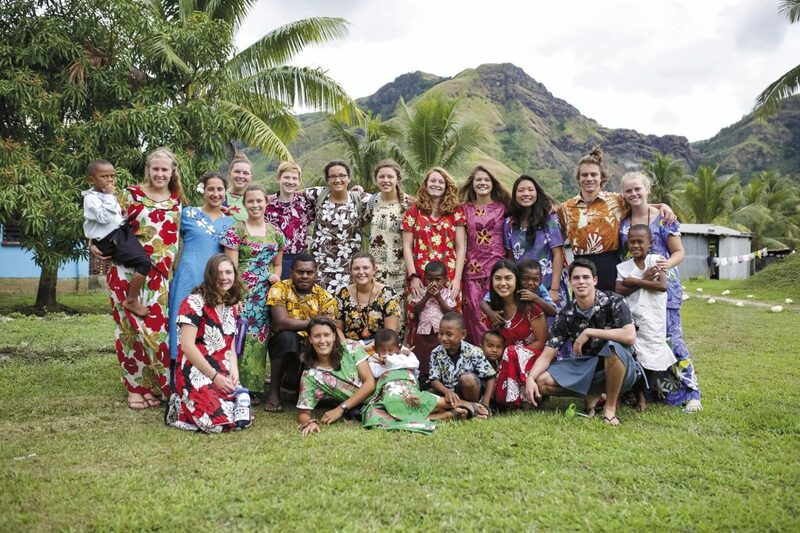 Stay at the Eco-Lodge during Intro to Community Service in Fiji, Sun, Sand, and International Service, and Spring to Fiji. Fire dancing. The traditional art of fire dancing originated in the South Pacific hundreds of years ago. Students on Rustic service programs have the opportunity to watch a fire dancing performance, put on by the local community. Guitar. 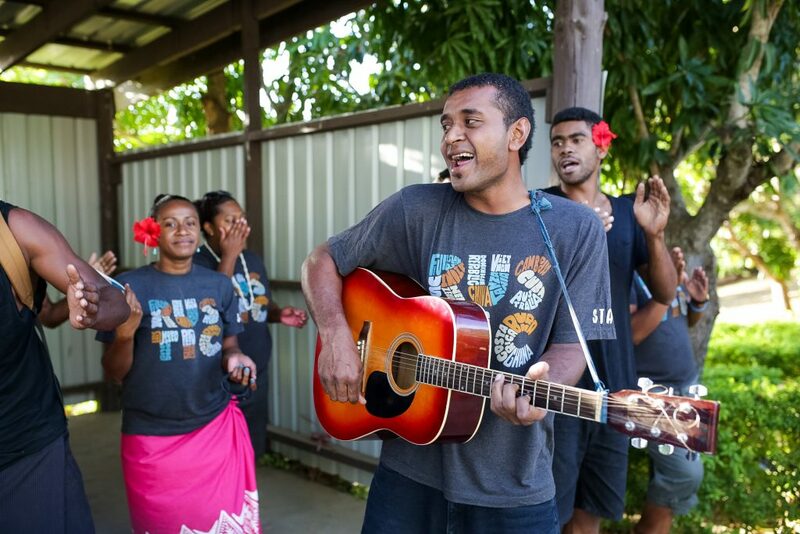 Music is a big part of life in Fiji. Stories are often passed down through music around a kava circle. Most Fijians are musically inclined naturally and known to be able to pick up a guitar and without any practice and sing a beautiful song. Hinduism. Roughly 40 percent of the Fijian population identifies as Indo-Fijian. Indians first came to Fiji in the late 1870s, when Fiji was still a British colony. Over a century later, their culture continues to influence the country. Most Indo-Fijians practice Hinduism at one of the many temples throughout the country. In fact, the largest Hindu temple in the Southern Hemisphere is located in Nadi, Fiji. International Date Line. Ever wondered what it would be like to be in two places at once? On the islands of Taveuni, Vanua Levu, and Rambi in northeastern Fiji, you can stand with one foot on either side of the International Date Line—the only country in the world where this is possible! Jokes. Known as one of the friendliest and most hospitable countries in the world, Fijians are not shy when it comes to practical jokes and laughing. In the best way possible, Fijians don’t take things too seriously and know how to make any situation funny. Kava. Dried in the sun and pulverized into a powder, the indigenous root crop is mixed with water in a Tanoa bowl to create kava. Kava is shared with friends and family on momentous occasions like weddings, funerals, and birthdays, and also consumed in casual social settings. The history of kava is as old as Fiji itself. Fijians originally used kava ceremonies to connect with their ancestors and it is still a deeply sacred and special part of Fijian culture. Lovo. This traditional form of cooking refers to a meal prepared underground. Similar to a hangi in New Zealand, fish, chicken, cassava and other vegetables are tightly wrapped in palm fronds and cooked in an underground oven. Students will get to taste it for themselves at the Eco-Lodge. Meke. The Fijian word for traditional storytelling and dancing. Fijians use lively song and dance, as well as musical instruments to tell stories about their history and culture. You might even be asked to join in the fun at the end of the performance. Nasouri Highlands. Rustic Pathways’ partnership with the community here date to 1993. 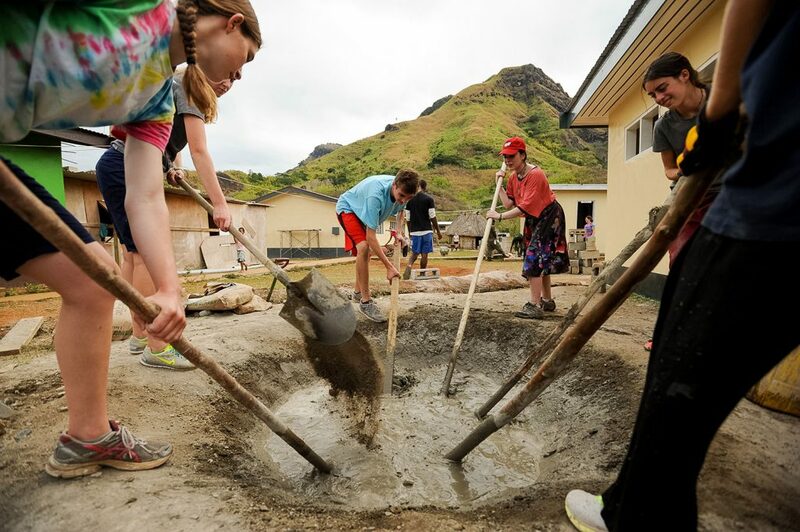 About three hours inland, this region is the real Fiji and home to Highlands and Islands Service Immersion, one of the best examples of an immersive, service-oriented Rustic program. Ocean. Water isn’t just a label you see at the grocery store, it’s truly the country’s lifeblood. Nearly every aspect of life in Fiji revolves around the ocean, and that’s why the country is a global leader in addressing the effects of climate change. Explore the Pacific Ocean in one of four unique underwater experiences in Fiji. Earn your Professional Association of Diving Instructors (PADI) Open Water certification or advance your existing certification during Fiji Diver’s Dream. Or participate in marine service programs to help protect Fiji’s underwater ecosystem during Impact of Climate Change on Marine Environments (a Critical Issues program), Marine Service and Adventure, or our South Pacific Service and Ocean Skills gap year program. Palm trees. Different kinds of palm trees line nearly every road in Fiji. Their leaves are often used as roofing for traditional bures, or houses. They’re also used to weave everything from mats and bags to hats and bracelets. Locals are even known to climb the trees in order to cut down coconuts for a refreshing mid-afternoon snack. Queen. Until 1970, Fiji was a British colony. While Fijians are extremely proud of their independence and enthusiastically celebrate Independence Day on October 10, the Queen’s influence is still visible today. Queen Elizabeth II is on Fijian currency, though there are plans to replace her image in the near future. Rugby. The sport is the country’s unofficial national religion. No matter where you go, you’ll see pick-up games being played, locals talking about the most recent match, and people wearing the jersey of the national team, the Fiji 7s. The Fiji 7s earned the country’s first medal during the 2016 Olympics, which prompted a new national holiday and the creation of a $7 bill. Sulu. Regarded as the national dress in Fiji, men and women wear sulus, though the styles vary slightly. These rectangular strips of fabric are wrapped around the hips and legs and tied at the waist. While many Fijians prefer this style of clothing, even visitors should wear sulus in villages, schools, and churches as a sign of respect. Tanoa bowl. Kava is mixed in a Tanoa bowl during traditional ceremonies and poured into hollowed out coconut shells to be passed around the circle. Union Jack. Much like Queen Elizabeth on Fijian currency, the British influence is also evident on the Fijian flag, which has remained the same since the country. The flag includes the Union Jack (British flag) in the top left quadrant. Village life. Most indigenous Fijians grow up in a village, and while many Fijians have recently opted to move to urban areas for employment opportunities, the sentiment of village life is felt throughout the country. Village life refers to a strong sense of community, with a focus on family, and a relaxed pace. Villages in Fiji are broken up into clans, which traditionally dictated the roles of the constituents of the village. For instance, the fishermen clan would be responsible for catching the entire village’s fish, while the carpentry clan would build the homes. Now the interpretation of the roles is more fluid and everyone works together, but community members still identify with clans strongly, similar to extended family. 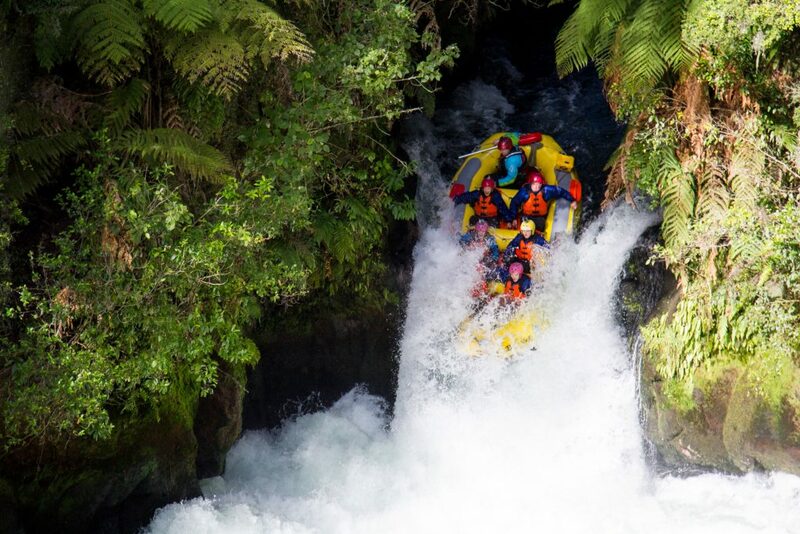 Whitewater rafting. Students who travel to Fiji with Rustic can also participate in programs that expose them to some of the best adventure activities in the South Pacific. Whitewater raft the class II and II rapids of the Luva River during Pacific Adrenaline. X marks the spot. Interested in some Robinson Crusoe-style exploration? In the Yasawa Island chain, students have the chance to find a plane wreck while snorkeling during Impact of Climate Change on Marine Environments or Marine Service and Adventure. Yasawa Islands. Live at our Island Service Base in Somosomo Village, located within this string of islands. Somosomo is a perfect place to experience village life, and participate in a number activities from relaxing on pristine beaches and snorkeling among colorful coral reef systems, to going on a sunrise hike or playing a pick-up game of beach volleyball. Impact of Climate Change on Marine Environments and Marine Service and Adventure both spend several nights at the Island Base. Zip lining. Students interested in adventure can zip line during Big Fiji Explorer or Pacific Adrenaline. These adrenaline-pumping programs are ideal for the most adventurous thrill seekers. If you’re not sure which Fiji program is right for you, request a call from one of our global program experts who can help you identify the perfect fit! Mackenzie first developed a passion for travel when she took a gap semester to Australia and Indonesia after graduating from Oregon State University with a bachelor's in new media communications. In 2016, she left her hometown of Portland, Oregon, to work as a Global Communications Coordinator at our Eco-Lodge Service Base in Fiji. Mackenzie is currently Rustic's Outreach Coordinator in Southern California. When not on the road, Mackenzie can be found eating food cart tacos, going on a run, or reading a book on the beach.